Lou Ann has been licensed since 1969. Majority of the years. she has been a Top producer in the Topeka Area Board of Realtors, twice chosen as Topeka Salesperson of the Year, and also chosen as Kansas Salesperson of the Year, she was named to coveted Topeka Area Master's Club for total professional volume, as well as recently named to the list of Andy Anderson award winners for doubling the Master's Club professional volume. Lou Ann was named to Who's Who is Best Real Estate Agents in America and she has her CIPS designation - a study of cultures and real estate practices of countries around the world - enabling her to understand and work with different cultures & diverse race & ethnic groups. She also served 17 years as a Governor Appointee representing Housing and Real Estate for the Kansas Human Rights Commission, serving the latter part as Chair Person of the Commission. These are hard earned skills that makes a difference to you. She has been helping people find what they want, what they need, and what makes them happy for 44 years. She knows big decisions happen over time, not overnight. Your concerns will be handled professionally and with sensitivity to your needs. She has a strong well known image in the Topeka area, and she will work hard for you. When Lou Ann is not selling homes, she enjoys teaching Real Estate classes as an Adjunct professor at Washburn University. She has been teaching classes for 6 years at Washburn and previosly 28 years for a Real Estate school. 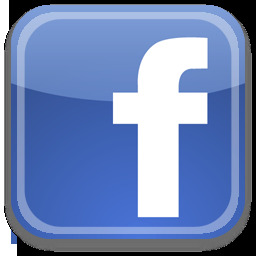 Stay up-to-date with all of Lou Ann's listings and activities on Facebook!! © 2017 Coldwell Banker Griffith and Blair. Equal housing opportunity. An equal opportunity company.